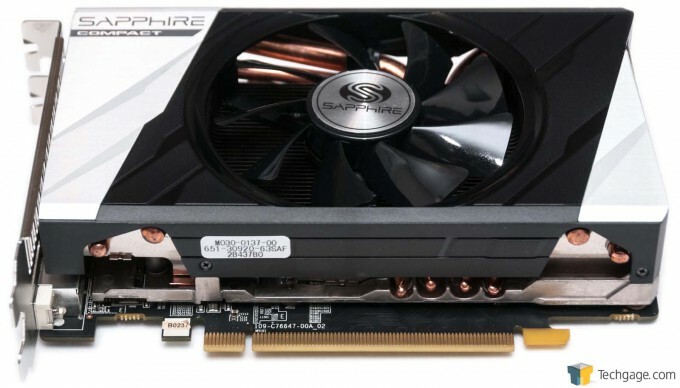 Finding a good graphics card for a small form-factor PC can be tough, but Sapphire helps make the decision a bit easier with a series targeting ITX builds. While we’re taking a look at the outgoing R9 285, it’s nearly identical to the R9 380, and as we find out, it’s worth a look. 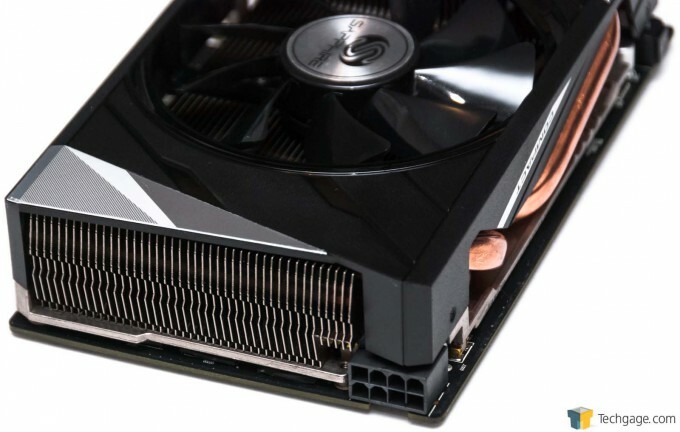 Originally, I had planned to do a head-to-head in advance of the launch of AMD’s new series, but with this card having lagged a bit behind shipping-wise, I ran with the GTX 960 review a couple of weeks ago. When I took a look at the Radeon R9 285 last September, I was impressed overall with what was delivered – an inexpensive offering that butted heads with NVIDIA’s GeForce GTX 960 and could manage many games at 1440p just fine. What makes the R9 285 I’m taking a look at today special is its SFF focus. 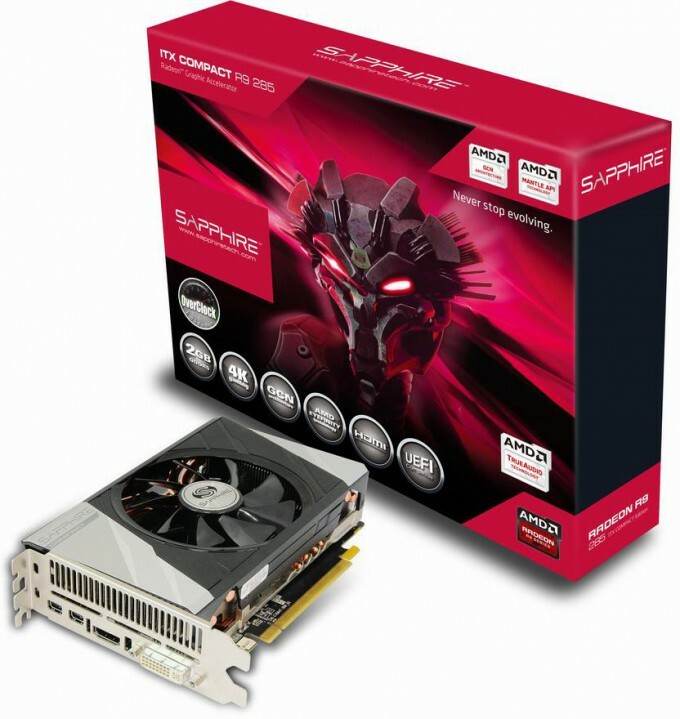 Versus Sapphire’s own DUAL-X R9 285, its ITX Compact Edition is 3.78-inches shorter, giving us a total card length of 6.7-inches. I love big PCs, but I get equally excited about small ones, especially when performance doesn’t have to be held back. A card like this ITX Compact model can certainly aid in that scenario. 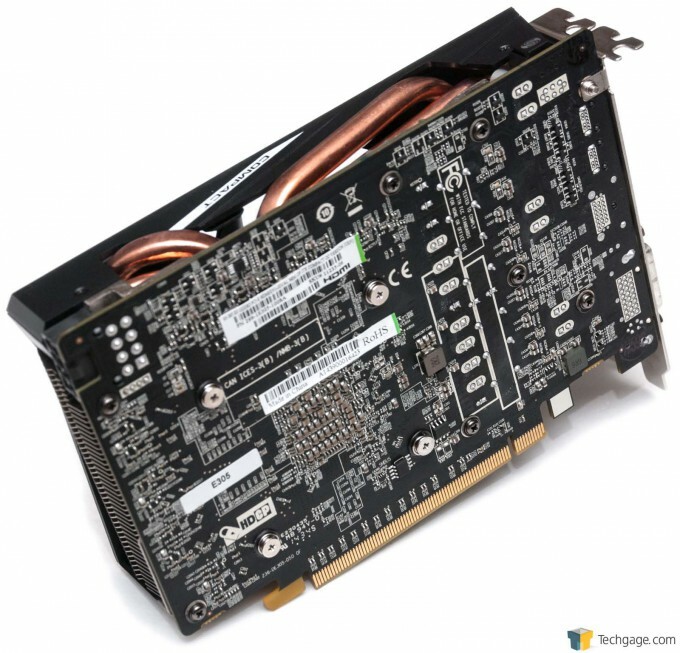 As mentioned before, the R9 285 and R9 380 are the same GPU. As covered in my 300/Fury preview article, AMD did make some improvements to the 300 series, but the one that matters the most is the clock boost; otherwise, clock for clock, the R9 285 and R9 380 are going to perform the exact same. At 190W, the R9 285 might not be the most power-efficient GPU for SFF use, but as covered later, the temperatures this particular card lets off is favorable versus the GTX 960 from EVGA I looked at a few weeks ago. 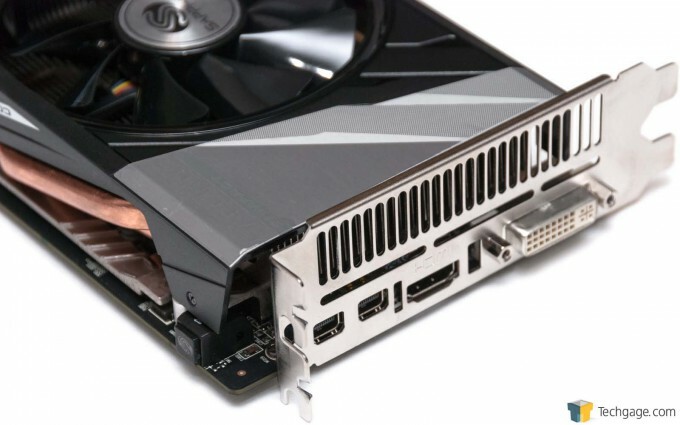 Because ITX and SFF tend to involve a lack of space, Sapphire designed this card to utilize just a single 8-pin connector – a great move. It’s also located at the end of the card, rather than at the top, to allow the cable to easily route through to the back of most SFF chassis. For connectors, this card includes dual mini-DP, one HDMI, and one DVI. This card has lots of room to breathe, and as hinted to earlier, despite its small form-factor, the cooling this card includes is excellent. 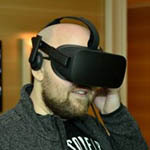 In the box, Sapphire includes a thin-but-usable mousepad, a VGA-to-DVI adapter, an HDMI cable, a mini-DP-to-DP adapter, as well as a connector that allows you to convert two 6-pin power cables into a single 8-pin one. For whatever reason, I had no luck with the included mini-DP-to-DP adapter. With it properly connected, I simply got no video on the screen. When I instead used an adapter I’ve had since the Radeon HD 5870 6 Edition days, the video output worked just fine. Something tells me that the included adapter isn’t of the highest quality, so if you run into the same problem I did, you’ll want to source a more reliable adapter. With all of that covered, let’s get into performance testing.